Podcasting is a method of sharing information via computers and or mobile music devices using an audio file. Podcasting is beneficial for businesses for a number of reasons – it helps them share company information, publicize their new or re-launched products, or even sharing general insights and data about the industry in which they operate. Make no mistake – podcasting is not a passing fad or an ephemeral trend – it is here to stay since businesses had found it be an effective method of attracting the attention of and engaging customers and target audience. There are a number of benefits of podcasting for any business. For a company to become known and respected it is vital for it to portray an image of expertise and authority – a podcast is a format that conveys this and a lot more. Through an audio file, a company can convey enthusiasm and through the use of words, pitch, and tone of voice can convey an air of authority, without sounding condescending. The energy that the ‘speaker’ can convey through her or his own voice can be infectious! Regular podcasting on a particular subject, with useful and accurate information will, over time establish your company as a leader on the subject – which in turn builds trust, confidence, and dependability in the minds of customers and target audience. It is a fact that when customers – both existing and potential – feel a sense of comfort and trust with a company, it becomes easier to form a connection. Hearing a human voice – enthused and full of energy, creates a sense of belonging and bonding with the ‘voice’. The connection is more human – rather than a robotic connection with a scripted text or rote recording. 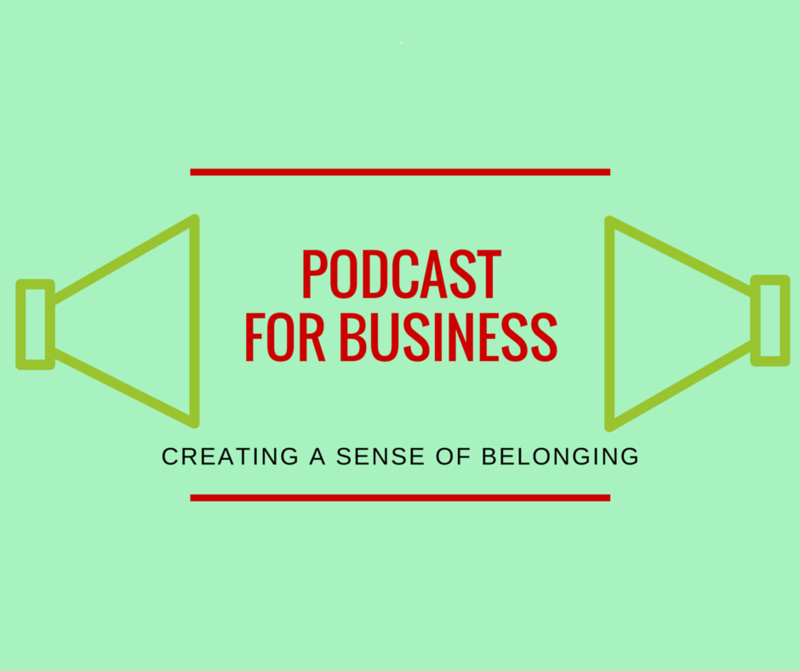 Podcasting is personal and hence it can ‘touch’ not just existing customers, but the potential ones too, who may have never connected with the company. Making a podcast allows your company to share its culture, values, vision, and ideologies with a large audience and for the listeners it is easy to choose when, where, and how they would want to listen to it.Given that the audience has listen, they could do so even while doing other activities – making it a versatile method of connecting, without interrupting. The great part of podcasting is that it is simple and easy to produce and anyone can do it.People create podcasts from their homes as well – a business location is not necessary. All that is required is a computer and a high quality microphone, with software (which is inexpensive) that is used to edit the audio recording file. Podcasting is therefore, an affordable yet highly effective method of ‘marketing’ and reaching out to an audience that goes beyond the ones that you may know of. As mentioned, anyone can produce a podcast – making it one of the simplest and least ‘barricaded’ methods, of getting a message across to many people. Your brand is new in the sea of brands – well podcasting can help. Regular podcasts with updated information each time, can get your brand into the homes and minds of thousands of people in a short span of time. You would be able to define all the great aspects and salient features of your brand in a single ‘broadcast’, raising the awareness of your brand almost instantly. It is a great way to advertise, without being invasive – people choose when they want to hear and how much they want to hear. Companies use podcasts for their product advertisements – and given the flexibility of what can be said and conveyed in a podcast.This flexibility is a lot more than any radio shows or other forms of advertisements – since they are all bound by certain regulations and guidelines about what they can say and advertise. With podcasting – you are unencumbered and can say whatever you think would accelerate the cause of your business. The method of podcasting has travelled a long way, becoming easier to create and disseminate. This is probably why this method has caught on and the number of podcasts have grown significantly over the last few years. A word of caution – take your time to assess what you would like to convey and then make sure you have the dedication and discipline to keep regular updates going, in order for your podcasting technique to be a success. Next Post SEO vs PPC – How to Choose?